Attended high-profile launching of Islamic Bank of Thailand by the then Prime Minister of Thailand, Thaksin. Ended with the recitation of dua (supplication) led by the Grand Mufti of Thailand. 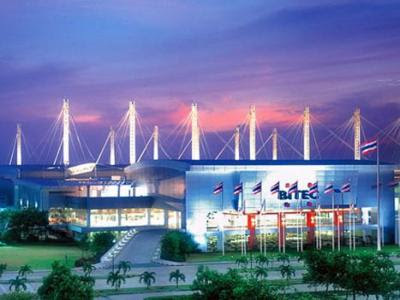 Some 1,000 persons attended the ceremony held at Bangkok International Trade & Exhibition Centre (BITEC). 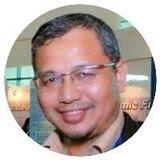 I was the trainer/consultant on Islamic banking for Islamic Bank of Thailand and Krung Thai Bank Islamic (the 2 banks now merged) as well as on takaful for Finansa Life Assurance. Attended the launching ceremony of ALIF Bank (an Islamic bank) at Malacanang Palace in Manila together with a group of bankers from Malaysia, Brunei and Philippines. The Islamic bank was meant particularly to serve banking needs of Muslims in Mindanao and Manila. Bumi Karsa Bidakara, Jakarta....2 weeks here conducted training on Islamic banking and finance. 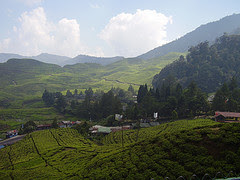 Visited Puncak and Bandung on the weekends. 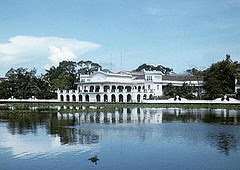 Organised 17-days International Integrated Course on Islamic Banking and Finance held at Holiday Villa, Subang in the suburb of Kuala Lumpur in 1994. I was a speaker on the topic "Islamic Consumer/Retail Financing". The course was attended by over 100 participants from 20 countries including from Bahrain, Kuwait, USA, Brunei and Indonesia. Treated delegates for a trip by bus to Penang Island "the Pearl of the Orient" on the weekend, 400 km away up north. Joined Bank Islam Malaysia Berhad (BIMB) on 15 September 1991. I was interviewed by the "Father of Islamic Banking in Malaysia", Dato' Dr. Abdul Halim Ismail, the bank's first Managing Director. 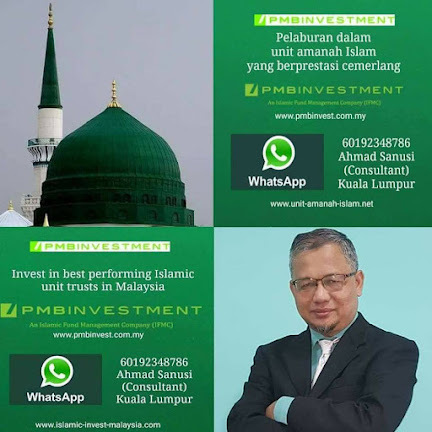 Undergone overall Islamic banking operation familisation program at Shah Alam Branch (located about 35 km from KL) for several weeks and then assigned to the Organisation and Methods Dept (more like Business Development/Product Development Dept). Developed several new products and services (mostly financing products) for the Islamic bank, wrote manuals and standard operating procedures and trained staff from branches and head office during the implementation stage. 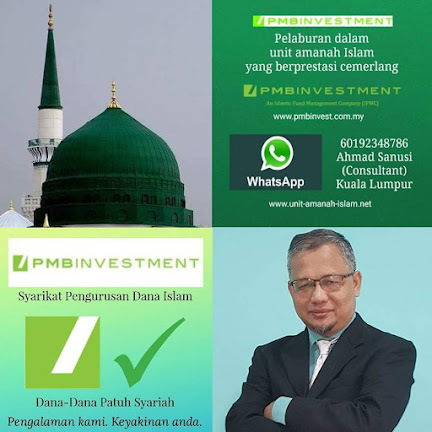 Of course, products and services must be approved by the Shariah Advisory Council of the bank before implementation. 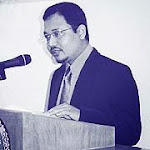 In 1993, Bank Negara Malaysia introduced Interest-free Banking Scheme (IBS) or in Malay it was called Skim Perbankan Tanpa Faedah (SPTF) to be implemented at conventional banks as an "IB window" or "IB counter". Most of other banks asked for consultancy service from BIMB to develop and introduce their Islamic banking business. I was then assigned a consultant/trainer for almost all conventional banks in Malaysia and then expanded to foreign countries like Indonesia, Brunei, Thailand and other countries. 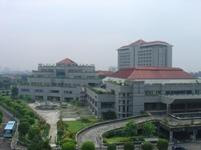 After returning to Malaysia from the States, I served (worked) for about a year at Universiti Utara Malaysia (UUM) / "Northern Malaysia University" in the Faculty of Foundation Studies. I think the faculty is currently known as College of Arts & Sciences. 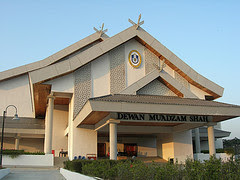 The Universiti Utara Malaysia formally incorporated on 16th February 1984, with the unique mission to provide academic excellence in the areas of business management education, IT and quality management. 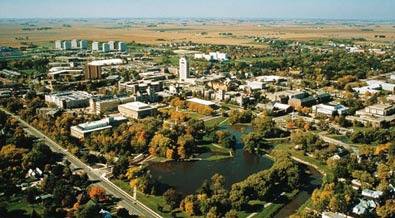 Faced with this challenging task, the University has, since its inception, ensured that its academic niche areas are focused on such disciplines as management, accountancy, economics, information technology, entrepreneurial development, tourism management, banking and finance, social development, human resources development and international affairs management. From its humble beginnings in Tanah Merah, Jitra, in 1990, the University moved to Sintok, 48 kilometers north of Alor Setar, the state capital of Kedah Darul Aman and 10 kilometers east of Changlun, a small town on the North-South Highway. The 1,061 hectares campus is surrounded by tropical rain forests set against a background of mountains. The Sintok and Badak Rivers run through the campus creating a truly unique feature as well as making it one of the most beautiful campuses in Malaysia. The huge campus, which cost RM 580 million, started operation on 15 September 1990. It comprises 15 residential colleges which can accommodate 20,000 students in total. Many of these colleges are named after multinational and public listed companies, namely MAS, TENAGA NATIONAL, TM, PROTON, PETRONAS, TRADEWINDS, EON, GUTHRIE, MISC, PERWAJA, MAYBANK, BANK MUAMALAT, YAYASAN AL-BUKHARY, BUKIT KACHI 1 and 2. UUM is one of the very few IPTAs that offer full accommodation to its students throughout their academic years at the University. 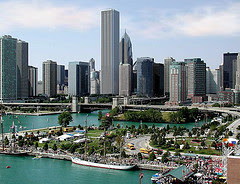 In 1988's, there were about 200 Malaysian students studied at NIU. Together with Muslim students from other countries, we collected about USD90,000 to purchase a house in Normal Rd and converted it to Muslim House (Islamic Centre)....where we performed our weekly Friday Prayer and daily Congregation Prayers. I was the Vice President of Islamic Society of NIU (ISNIU). Professor Dr. Sidek Baba was the President then. We organised several dialogue sessions with Christians and people of other faiths to explain about Islam and to correct the common misunderstanding. Happy to note that many NIU graduates from Malaysia have progressed to become university professors and corporate leaders.....with the exception of me (maybe not yet). 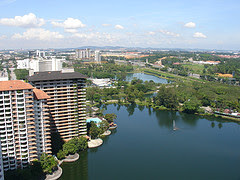 Kedah sits in the northwest corner of Peninsular Malaysia. 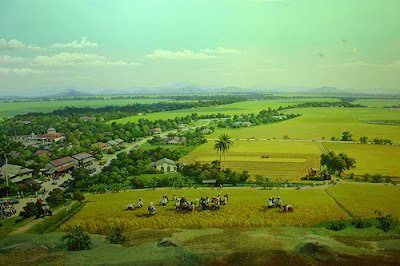 Kedah has the distinction of being the "Rice-bowl of Malaysia" - a term that takes on aesthetic significance when one sees the rice fields for themselves: the flat expanse of padis against a backdrop of rolling hills provides a picture of utter serenity that lulls the senses. 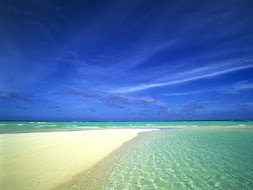 Off Kedah's western shores are clusters of sun-drenched islands that comprise the legendary archipelago of Langkawi, easily the most popular resort location in the country. 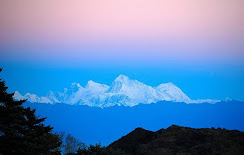 Rising to meet the western shoreline is the mountain of Gunung Jerai (1,200 meters above sea level). 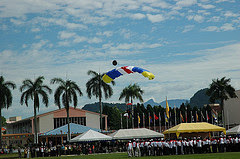 Kedah's population of about one million is primarily Malay, though there are significant Chinese and Indian minorities. Welcome to Kedah Darul Aman (the State of Peace)!